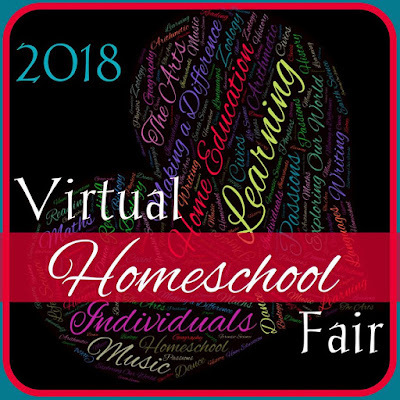 Welcome back for the third week of the Virtual Homeschool Fair, graciously hosted by Susan @ Homeschooling Hearts & Minds. This week we are focusing on our homeschool curriculum, or in other words, how we cover it all. 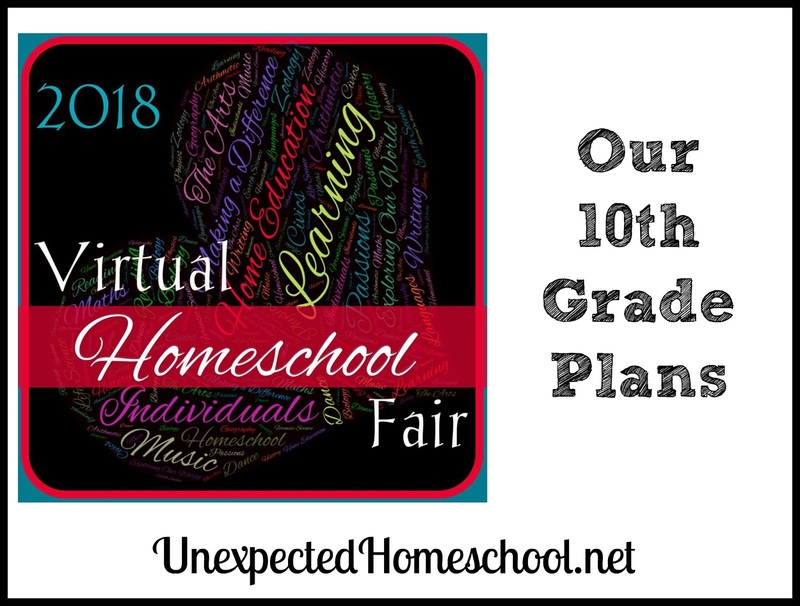 I have rather detailed curriculum plans already up on my blog that cover the majority of our homeschooling years, including this school year for tenth grade. 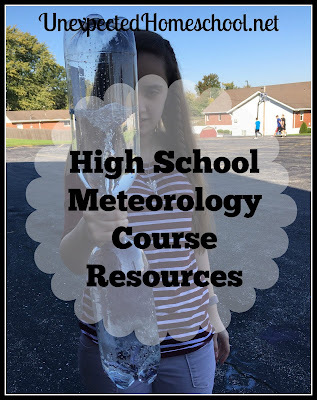 If you're interested in every piece of curriculum we're using this year, then follow the link to see Amber's tenth grade curricula. However, today I'm going to address how we help Amber pursue her passions and why we cover the subjects that we do (and don't). If you read last week's post about our homeschooling style, you saw that we have returned to a more eclectic style of homeschooling. As much as we would like to be classical, Amber learns differently for each of the wide array of subjects a high school student is expected to study. Oddly enough, one area that has remained fairly classical in study is language. Amber loves language. She would study only language in some format all day, every day, if I let her. English grammar, expository writing, creative writing, literature, and foreign languages are what she enjoys best of all the subjects offered. In our minds, we have always thought she was skilled with languages too, although as her parents we could be biased. Then earlier this school year we had neuropsychology testing performed on Amber to help sort out her needed accommodations and learning issues. The test results clearly showed she is phenomenal with language, while math provides challenges her brain cannot comprehend. Amber had already set a goal and has been going on the assumption she will major in English with a creative writing emphasis along with a minor in one or more foreign languages and possibly music. All of these use the language portion of her brain. When planning this school year, I had many discussions with Amber about her goals and the credits she needs to complete. The result of our conversations is a slightly modified high school plan. Our plans for tenth grade are fundamentally different than the well rounded approach we were trying to take in ninth grade. The universities where Amber intends to apply do not require more than the state minimum requirements in math and science for their incoming English or language majors. We saw no need to force math and science on Amber when it is unnecessary for her future goals, hence she will be working towards only three credits of each. This gives her more time to pursue electives in creative writing and several foreign languages. While she still needs to get her social studies (history) credits and government credit, Amber does not find this task as frustrating as math and math based science. Besides giving permission for Amber to only attempt the bare minimum number of credits in math and science, I've also helped Amber find creative ways to earn those credits. Math truly is the bane of Amber's existence. As a younger student, Amber excelled in math and was far ahead of her peers. However, it was always inexplicably anxiety producing. We now know that she made her way through math by sheer force of will. She may have managed to excel, however she worked significantly harder than the average person to understand the concepts. She also does better with abstract concepts than concrete math numbers. Now, even with her dysautonomia fairly stable, the energy required for math is beyond her daily amount and the math anxiety is ever present. Testing showed she has significantly slowed cognitive responses to math; it's like her brain suddenly is going at a snail's pace. She can feel it happen and this results in increased anxiety. After trying an array of math curriculum with very little positive results, the neuropsychology testing gave us such great insights as to why switching curriculum was not successful. Thankfully, Amber made it through algebra 2 by the midway point of ninth grade, which we counted that as her first math credit. Geometry has been attempted twice and both times were an utter failure, and now we finally understand why. 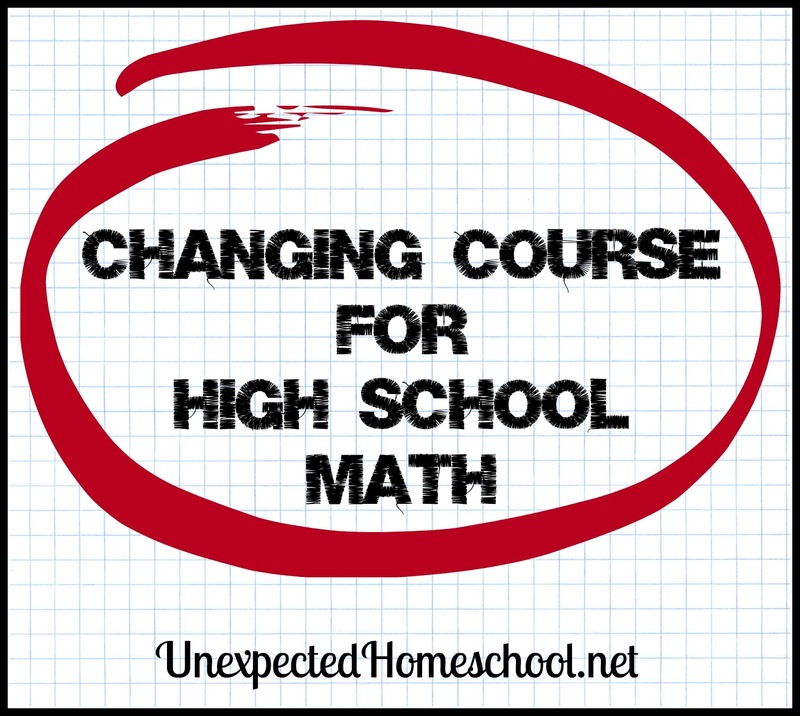 Within the first month of tenth grade, we quickly switched Amber to consumer math. And although it has not been easy, she is making steady progress through consumer math. At least she sees a reason to do it and it doesn't matter if she is slow. In an effort limit the exhaustion that comes from her brain struggling with math, I often reduce the number of problems she needs to complete and sit with her for encouragement. Amber will still need another credit of math after consumer math, however I expect she will need a total of three semesters to finish consumer math, which puts her at the midway point of eleventh grade. We're hoping she will find statistics a useful class and can complete it in the last three semester of high school. Honestly, if you have any ideas of another course that qualifies as a mathematics credit, we are happy to listen. Unlike math, Amber enjoys science for the most part. Biological sciences are difficult for her and often trigger unpleasant psychosomatic responses. Seriously just looking at cell pictures causes problems. While she is interested in the broad topics covered by physical science, chemistry, and some physics, she is terrified of the math necessary. After struggling her way through physical science using a textbook series, I decided we needed to take a different path. Since then, her science has been more topical while covering the major high school science categories. I would love to give Amber high school credit for the physical science course that required so much effort, however she did the majority of the work in eighth grade and counting it as a credit is iffy. Instead we began ninth grade with a semester of botany that included lab work and earned her 1/2 credit of a biological science. Then, I taught forensic science at our homeschool co-op specifically for Amber. Again it was a lab course, and actually covered biology, chemistry, and physics. If I had to categorize it, I would place it half under chemistry and half under biology. Tenth grade began with a review of Apologia's Marine Biology course, and Amber found it interesting if she was allowed to skip the labs and a few rather disturbing (to her) chapters. She stuck with it past the review period and will eventually earn herself a half credit of biology just from the book work. Way to go kiddo. At Amber's request, I also taught meteorology with labs at our homeschool co-op first semester of tenth grade. I would probably place that class under physics if forced to give it a category, as well as the astronomy that I am teaching this semester at co-op. This means Amber will have 2.5 credits of science by the end of tenth grade and two credits are from laboratory classes. Therefore, she has exceeded the minimum requirement of one lab course, and meets the occasional request for two lab courses. Amber is intrigued by chemistry, but has come to realize there is so much math in it, that anything at the high school level will not be to her liking. Instead we have decided to go with the Survey of Science History & Concepts course from Master Books for the last part of Amber's science credits. I'm still unsure if she will earn a full credit or half credit for Survey of Science. It does cover biology, chemistry, physics and math, however if we drop any of those topics she definitely can only earn half a credit. At any rate, the Survey of Science course will be enough work to complete the last portion of her science credits. Amber has even opted to work on it over the upcoming summer, so she can be completely finished with science before she starts eleventh grade, thus giving her additional time for her languages. If you've taken a peek at Amber's tenth grade curricula, you saw she also takes quite a few electives at our homeschool co-op besides the science classes I've been teaching. Even though her education may be focused on her natural ability and love of languages, Amber still seeks out and enjoys many other topics, especially in the fine arts. There are no worries about neglecting the arts and elective portion of her education. Next week is the final week of the 2018 Virtual Homeschool Fair, during which I'll be talking about how we fit in all of the fun electives and extras that are not part of her academic life at home. This his how we have been able to cover all the necessary high school credits with our daughter. Please take a look at how the other participants addressed their homeschool curriculum. This might not work for Amber, but learning a little about mathematical/computational linguistics might appeal to her as a mathematics course. She would bring her passion and ability at languages to it, and that might give her the impetus to learn a bit about computer programming, and I believe you said once that both you and your husband are good with computers, so you could assist. I mentioned this once before in a comment, but for people like Amber I highly recommend the course given at almost all universities, called something like "Math for Poets" or "Math for Liberal Arts" or "Mathematical Ideas". This course (when taught correctly and compassionately) removes the fear of mathematics and allows the students to use their strong verbal abilities to understand and appreciate some interesting mathematical ideas. The level of actual computations used and expected in this course is usually only at the elementary school level, but students should be able to reason logically. Amber seems very bright, and at 10th grade or certainly by 11th grade she should be eligible to take a freshman-level class at a college. If you talk with the math department chairperson, I think you will find him or her sympathetic and helpful. Certainly a college math course would count towards high school graduation. The book "Mathematics: a Human Endeavor" by Harold R. Jacobs is a typical textbook for a course like this. This is the book that changed me from someone who hated math (I was majoring in German) to someone who eventually earned a Ph.D. in math. Also, take a look at the book "The Number Devil" by Hans Magnus Enzenberger to see how some important mathematical ideas can be expressed in a story. Also, the math portion of "The Phantom Tollbooth" by Norton Juster does something similar. Amber might like doing a project, like writing a paper, on a selection of books like these. I would count such a project as an independent study in mathematics. Best wishes to you as you help such a bright, creative young woman grow up and meet her goals! Thanks for your suggestion, I did look into it previously. Neither the local community college or the university where she wants to attend has a math course anything like you described. The classes are all either courses getting you ready for college algebra, or require college algebra as a prereq. Excepting the consumer math course at her desired university, which is what she plans to take as her one required math class. We also are not going to have her do any college work before she graduates. There are exams required of high school students for admittance that she is not going to take. She has an extensive list of accommodations too. It's really more than we can handle at the moment. I will take a look at those books and maybe see if I can put together something for her from that. It's a great idea!! Thanks. We've tried computers several times, since her dad and I have computer science degrees. She wants nothing to do with it. She's barely computer literate. The science we are planning to do includes a book on mathematics. I haven't been able to go through the set yet, but I might be able to use it as part of a math course and just have her do the chemistry and physics for science. All good ideas you have and I thank you for the input. I really just need to get her that credit for her transcript, and then her accommodations will help with the single required math class (consumer math). Actually, the more I think about it and look at those books on Amazon, the more I think this might actually work for Amber. I'll need to work out the specifics this summer, but I think she can just do independent studies in math and we will document specifically what topics she covers. Thank you! Thanks for responding to my comment, Christy. Good luck with the independent studies. I am amazed at the amount of high-level work you and Amber are able to accomplish. If you ever want to email me, it's fitzgewj at jmu.edu . I lean toward English subjects too, so she's a girl after my own heart! My kids are not in high school yet, but I love seeing how others create a course of study based around unique needs and interests! It gives me inspiration and hope that I can do it too!